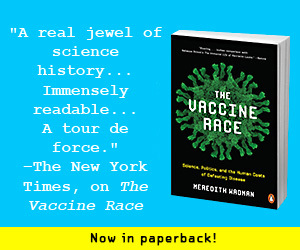 Wadman’s book, The Vaccine Race, was shortlisted for the 2018 Wellcome Book Prize. 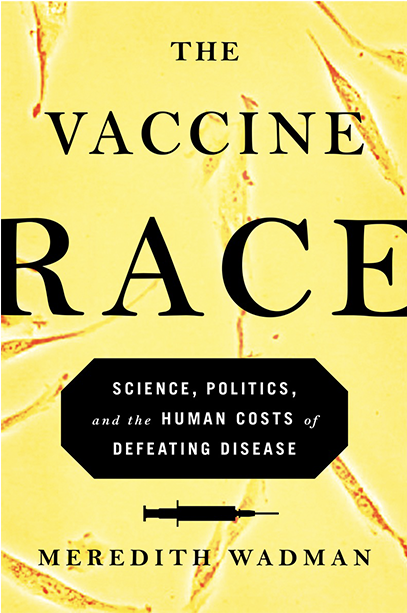 The Vaccine Race was also named a Washington Post Notable Nonfiction Book of 2017 and longlisted for the Andrew Carnegie 2018 Medal for Excellence in Nonfiction. The Guardian named it the second-best science book of 2017. 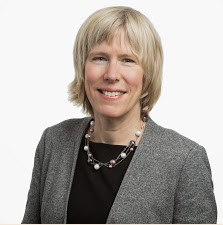 Meredith Wadman has covered biomedical research politics from Washington for twenty years. She is a reporter at Science and has written for Nature, Fortune, the New York Times, and the Wall Street Journal. A graduate of Stanford and Columbia, she began medical school at the University of British Columbia and completed her medical degree as a Rhodes scholar at the University of Oxford.